Jared Heller (age 15) along with Jay and Brian Morrison (ages 12 and 14) hosted the 9th Annual Charity Poker Tournament at Bet Shira Congregation in Pinecrest earlier today. 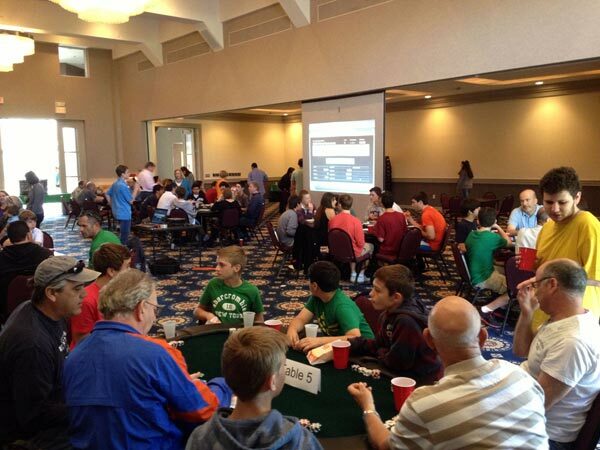 The Poker Tournament raises money for CCDH (formerly the Community Committee for Developmental Handicaps). 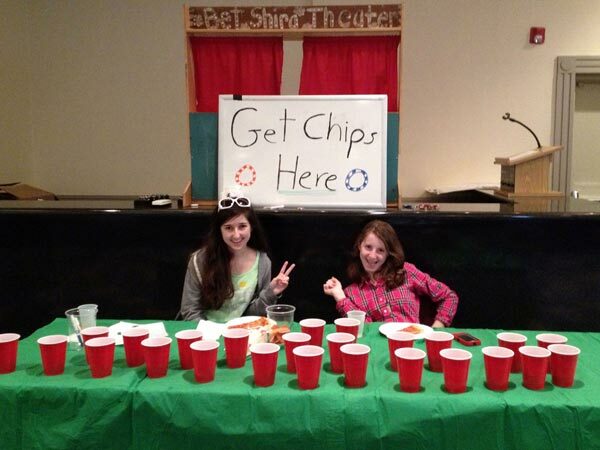 This year more than $5000 was raised with more than 100 people joining in on the fun. From the check-in to food/drink hospitality to chip management, there were dozens of volunteers from kid to adult that helped pull this event off. All players and volunteers will receive 4 hours of community service. The day's big poker winner was Aaron Khutorsky (far right in dark baseball cap), who took away an HDTV set. Any player finishing in the top 10 walked away with some level of prize, including Wagons West gift certificates. The biggest winner was CCDH who has benefitted from this event for 9 years running. The boys and the Morrison family want to thank everyone involved in this successful event and invite you to next year's tournament.